It's hard for many pilgrims coming from abroad to carry their money during Hajj trips (for convenience or security reasons) and issuing valid credit cards from their countries is an option that might not be available, incompatible with local providers, or is a process that that takes a long time. 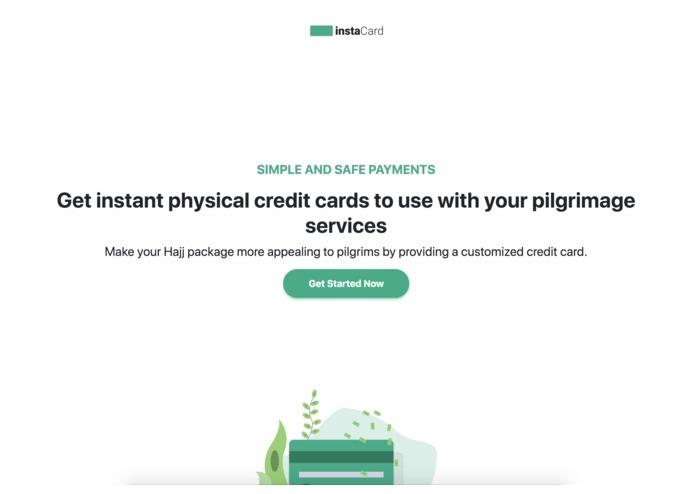 With Instacard we allow Hajj campaigns to issue prepaid credit cards for their clients, and pilgrims can immediately pick them up through the campaigns as soon as they arrive to Saudi Arabia. Helping pilgrims who don't want to carry cash, for both convenience and security. Helping to increase adoption of modern payment methods. It issues prepaid physical credit cards through (Marqeta's API) for pilgrims. Pilgrims can acquire the cards through Hajj campaigns. All our core business features and logic have been built during the hackathon. We don't have existing code before the Hackathon, we use the following APIs Amazon Web Services and Marqeta API. The whole project, other than the APIs we used above. 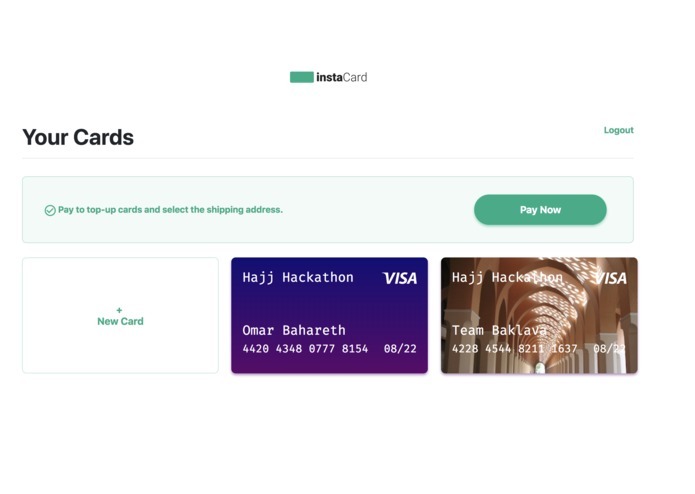 Issuing (virtual) credit cards through Marqeta's API. Prototype of topping up credit card balances. Partnering with Hajj campaigns, government entities, and local services to enable pilgrims to benefit from it. I worked as a backend developer, designed the data models, setup the authentication system, and applied the idea flow. I created a Ruby wrapper for Marqeta's API, setup the website, domain, resources and autodeployment through Heroku. I also provided misc. backend support and code quality checks. I helped with gathering statistics for our pitch. I worked on the user interfaces designs and it was fun to try to cut things to the bare-minimum to come-up with an MVP.